Through extensive structural remediation and restoration, new life was breathed into this 1860s Greek Revival brownstone. Behind a restored period facade are three modern residential units, appointed with an uncomplicated material palette and crisp details. Utilizing a variety of lighting interventions, we ensured that optimal daylight is delivered to all rooms in the building. A clerestory window floods a master bathroom with borrowed light from the adjacent bedroom. While a tubular daylight device delivers light to a stairwell on the parlor level - several stories below the roof. 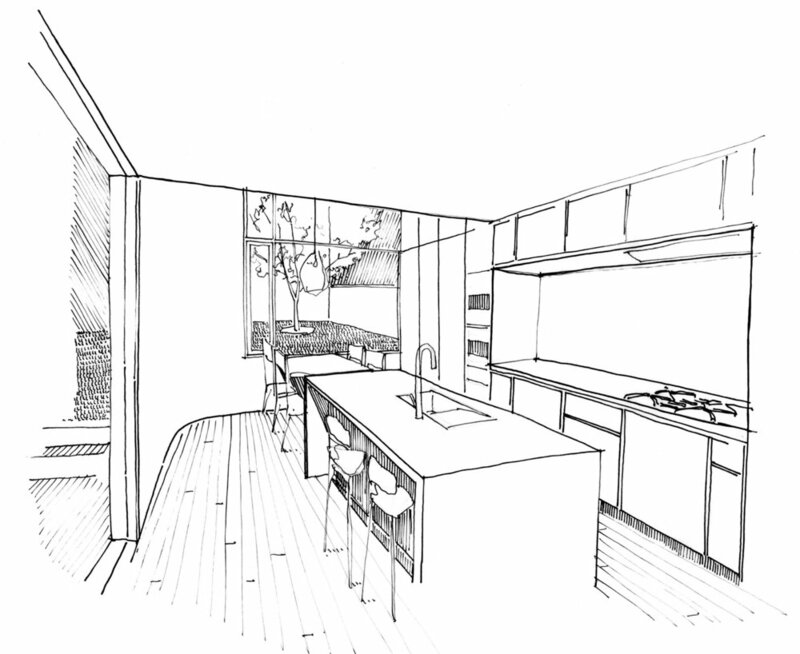 With some minor tweaks from our original schematic sketch, a clean and modern kitchen, awash with light from new windows, was installed on the garden level.